Wests Bulldogs Rugby has a brand new club house and facilities which is the envy of most sporting clubs. The new club is now regarded as the number one club facility in Australia. This state-of-the-art rugby, medical, function and cafe facility is one of the the best local club rugby facilities in Brisbane and Australia! 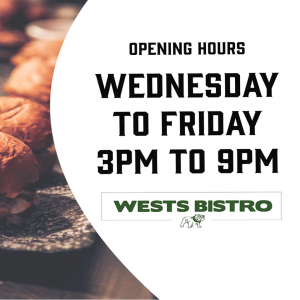 See you down at Wests! Is the new clubhouse now finished? Yes – our new and exciting facilities are now open and will be ready for the first games of the 2017 season, as well as the junior training nights and games. Stayed tuned for more! Where are the grounds located for junior rugby? You can find all the junior rugby grounds here. Where do I find Wests on Facebook? The Wests Facebook site is located here. How do I become a sponsor of Wests? We’re always looking to discuss the exciting benefits of sponsorship at Wests and please contact us for more information. Can you provide details about playing rugby for my son and daughter? Go to our website under the tab “Junior Rugby” and click on “2018 Junior Player Information” and “Girls Teenage 7’s”. How do I register a JUNIOR player for the rugby season? Go to our website under the tab “Junior Rugby” and click on “Junior Registration for 2018”. Can you provide season Information for COLTS (under 19), WOMEN AND SENIOR players? Go to our website under the tab “Club Rugby” and click on “2018 SENIOR Player Information”. How do I register to be a SENIOR player for the rugby season? Go to our website under the tab “Club Rugby” and click on “SENIOR Players Register 2018”.